Once again, Paramount Theatre Seattle brings you nothing but the very best in secular music. 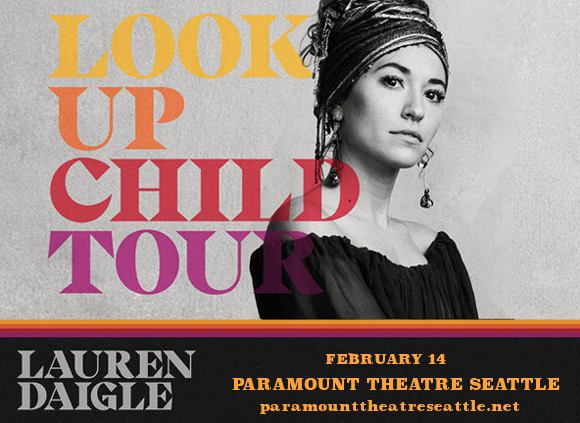 Ladies and gentlemen, prepare to welcome the incredible talent that is Lauren Daigle, bringing her incredible new album “Look Up Child,” to the Seattle audience on Thursday 14th February 2019! This young artist has seen almost unprecedented success in the genre, with her popularity soaring across the board. Don’t miss out on your chance to see her live – get tickets while you can! With her LP “Look Up Child,” Lauren Daigle has just become the first artist to top all five of the Christian charts in the US simultaneously. As if that wasn’t a big enough achievement, the album has also seen the biggest sales week of any Christian music album in the last decade! And it’s no wonder – her stunningly beautiful voice and heartfelt melodies have an almost irresistible universal appeal. What are you waiting for?? Get ready to be a part of that crowd – get your tickets to see Lauren Daigle live NOW while they last! !